Obviously the ideal thing to do is to move out (preferably to some form of 5 star tropical beach resort!) 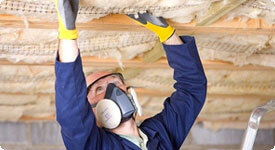 whilst you are having any major renovations or building work down to your house. However this is not always possible. Friends and family may not be lining up to invite you and your 14 dogs to move in or the funds just might not be available to decamp off on holiday or into rented accommodation for the duration of the project. So here are some of our top tips for how to live in your house during building works. It may seem like a thankless and pointless task, but clearing up as much as you can at the end of the day will help keep sense or order and calm amongst the chaos. Also keeping on top of the dust and mess will help to stop it spreading quite as badly through the rest of the house. As much as possible make sure that you always shut doors behind you as this can make a huge difference in containing all of the inevitable dust and mess. If there are rooms that you don’t need to use then tape the door seals shut to completely banish the dust. Also consider covering furniture that you won’t be using or even just covering it during the day so that you can come home in evening and uncover a clean sofa to sit on. Going on seemingly endless tip runs may drive you crazy but it is fair easier to deal with rubbish as you go along than having to sort out a giant heap at the end of the project. Try to make sure that you put as much out for recycling and general waste collection on your usual collection days as possible too. This may sound like an oxymoron but regularly washing or at least shaking out dust sheets could make all of the difference between a dust explosion and relative cleanliness. If you are going to be without a usable kitchen or bathroom for some time then it makes sense to plan ahead. Talk to your builders about what they can rig up to help to see you through – everything from a camp kitchen in the living room to a washing machine in the garage could make a huge difference to your standard of living. For more information about turning your house into the home of your dreams (and how to get through the process of actually getting there! ), contact the friendly Bolton builders of Wisecraft Ltd today.